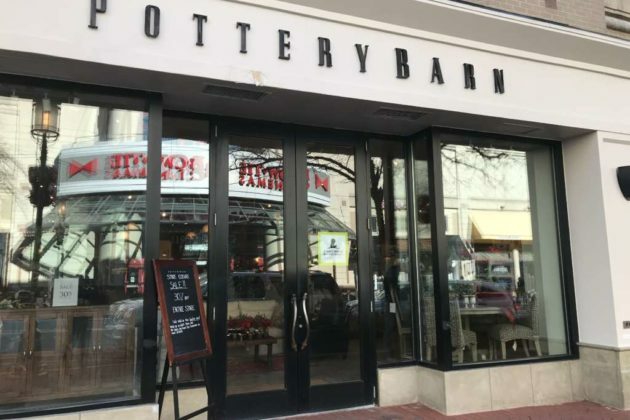 (Updated at 10:58 p.m. on Dec. 9) The Pottery Barn in Reston Town Center will shut its doors in January, along with the Williams-Sonoma down the block. 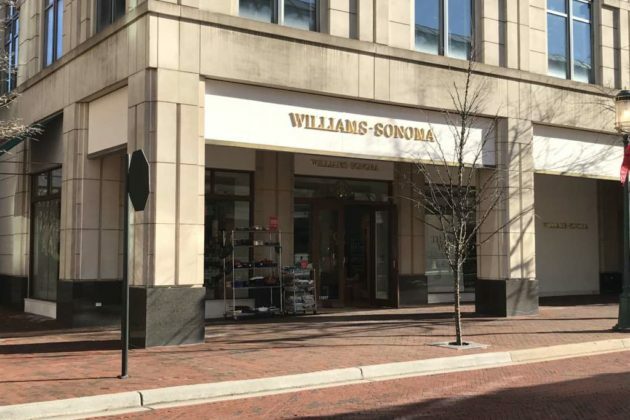 Williams-Sonoma Inc. operates both brands. 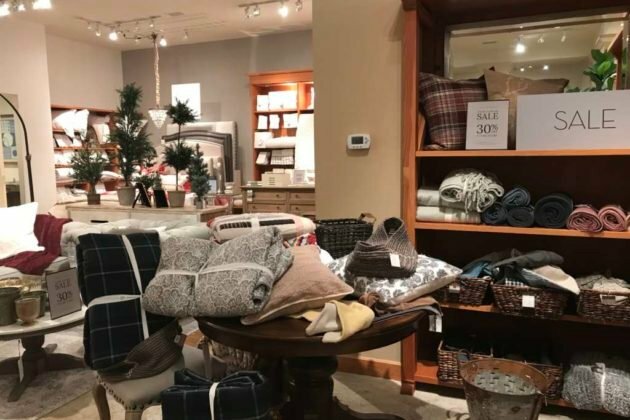 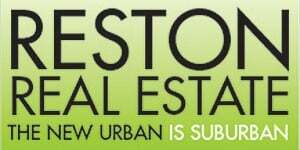 A store employee told Reston Now that the store will stay open until its closing date — sometime around Jan. 21. 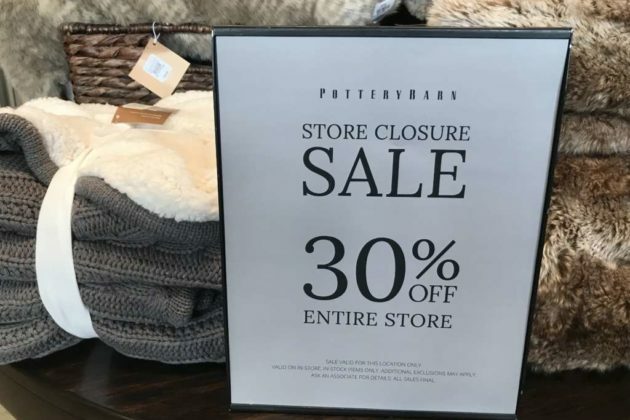 Pottery Barn (11937 Market Street) started a final sale with 30 percent off items throughout the entire store on Monday (Dec. 3), the employee said. 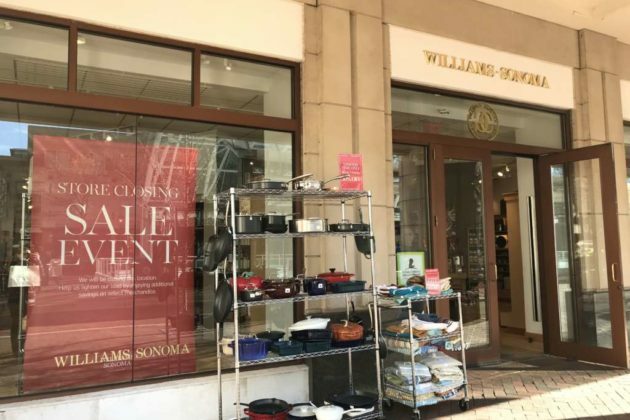 The Williams-Sonoma at 11897 Market Street is also planning to shut its doors in January. 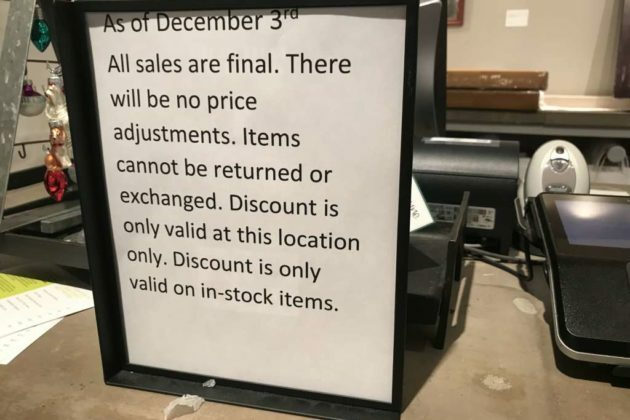 “We plan on closing in early January, but do not have a specific date to share at this time,” a spokeswoman for the company wrote in an email.